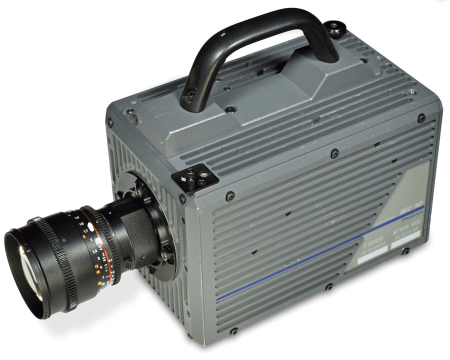 Still very much in demand, the Photron BC2 HD camera system continues to provide a solution to high definition high speed video requirements in television production and promotional applications. The camera has 12bit dynamic range, high light sensitivity and high image quality. 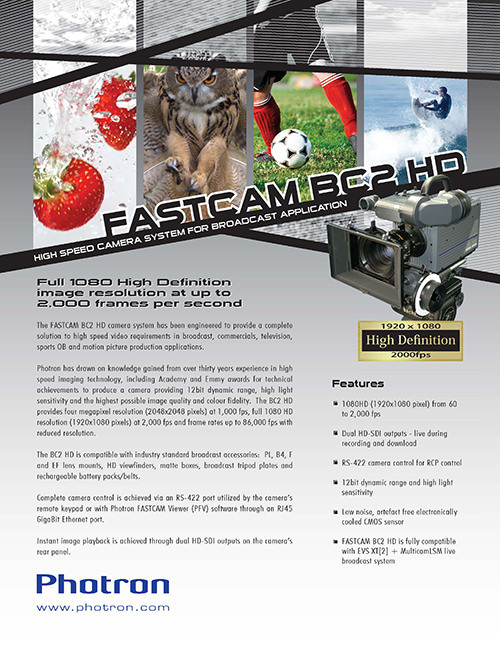 Photron has engineered the BC2 HD to deliver significant improvements in image quality by minimising dark noise for better detail in the black areas of the image and reduction of image ghosting for regions with high contrast. The camera has been independently rated between 640-800asa. The Photron BC-2 HD camera can be used with an ATOMOS HD-SDI recorder allowing Apple ProRes HQ movies to be captured in quick time. It has the maximum 32GB on board memory providing 20 s capture time at 500fps full HD. The Photron BC2 HD is now offered on a cost effective weekly dry hire basis. This extended term allows familiarisation time and up to 4 shoot days. All equipment will be shipped via UPS couriers for delivery at least one day before your shoot. Equipment list includes Photron BC2 HD camera, Atomos Samurai HD-SDI recorder, range of Nikon mount lenses, and 24V lithium-Ion batteries, if required. Contact us for rental costs (all shipping included). 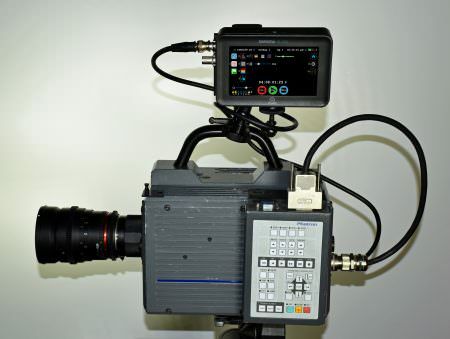 The Photron BC2 is used extensively with an Atomos Samurai recorder (can be hired from Slowmo). The Atomos offers monitoring (with waveform and focus assist), recording and playback in one small unit, mounted on board the camera. This combination provides a computer-less, untethered system and perfect for use when filming live action or in remote locations. Apple Pro Res HQ 10-bit movies are generated and easily copied to hard drive via a USB dock station.